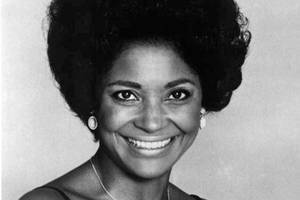 Nancy Wilson, a genre-spanning, Grammy-winning singer whose career spanned more than 50 years, died Thursday at age 81. Her longtime manager made the news public. Born in 1937, Wilson grew up in Ohio and began her music career shortly after high school in 1956, working for Rusty Bryant and the Carolyn Club Band. Moving to New York City in 1959 on the advice of Julian “Cannonball” Adderley, she began playing clubs while supporting herself as a secretary, and was signed to Capitol Records the next year. In 1964 and 1965, four of Wilson’s albums made Billboard’s top 10, a run that notably included her most successful hit, “(You Don’t Know) How Glad I Am,” which peaked at #11 and won Wilson her first Grammy for best rhythm and blues recording. 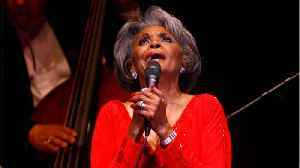 Wilson received numerous awards during her career, including three Grammys, an Emmy for her eponymous NBC series, the NAACP Image Award – Hall of Fame Award in 1998, induction into the Big Band and Jazz Hall of Fame, and induction into the International Civil Rights Walk of Fame. Wilson retired in 2011 and, according to her manager and publicist Devra Hall, died after a long illness in her California home. She was married twice and had three children. She’s survived by her son, two daughters, two sisters and five grandchildren. In a statement, her family said there would be no funeral service, but a celebration of her life would be held in February.